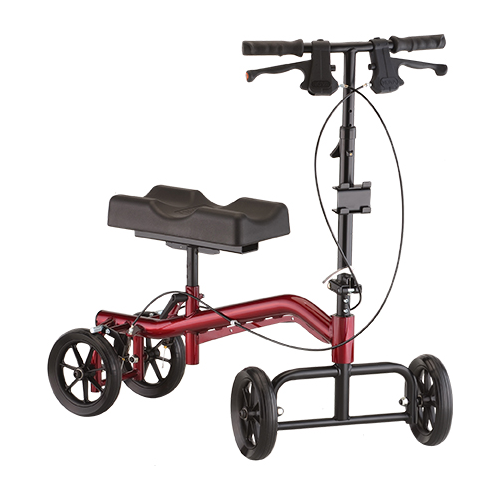 It could be a long 6-12 weeks in a cast or bootâ¦ Stay mobile, active and recover better with the Knee Walker. 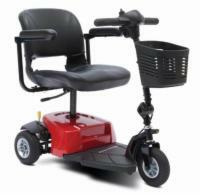 The Knee Walker is ideal for providing non-weight bearing mobility for ankle, foot or Achilles injuries. 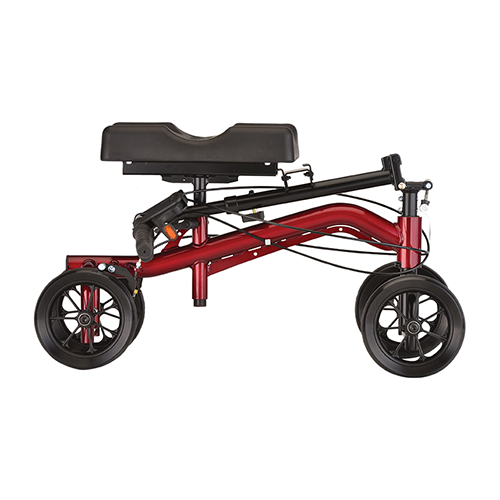 It easily adjusts for the left or right leg and features rugged 8 inch wheels, dual locking hand brakes and a contoured, padded knee platform. The Knee Walker comes in three sizes, so you can choose the walker that's right for you. The TKW-13 has a sturdy, reinforced frame for a higher weight capacity.